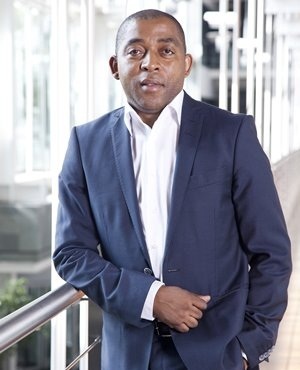 Sydney – South African Airways CEO Vuyani Jarana on Monday announced he is taking up a R100 000 challenge proposed by the Free Market Foundation on his ability to make the state-owned airline profitable in three years’ time. Jarana has undertaken to pay the R100 000 from his own personal resources should he lose the “bet”. Leon Louw, executive director of the FMF, said in an earlier statement that he is willing to wager Jarana R100 000 that Jarana’s three year turnaround plan for SAA would not work, and that SAA would not be showing a profit by March 31 2021. The money will go to charity. Louw’s bet excludes any privatisation or business rescue proceedings for the airline. “Does he (Jarana) really believe that SAA will make a profit in 2021? Is he so confident that he will condone diverting nearly R22bn from other, far more essential causes of poverty, healthcare and education to fund subsidising the rich to fly?” the FMF said in the wager statement. According to the FMF, SAA has had about eight CEOs and about nine “turnaround plans”. The organisation says the total government support for the airline now totals R46bn and the last time it made a profit was in 2012. The FMF believes it is too late for turnaround plans, business rescue or privatisation at SAA. It feels the only realistic option would be just to “close” the airline down. “SAA is a strategic asset which must deliver on its mandate and bring dividends to its shareholders, South African taxpayers,” SAA spokesperson Tlali Tlali said in a statement announcing Jarana’s decision. Tlali said that as a business SAA stands a good chance to "return to its former glory", and for the first time the airline has made “bold statements” based on careful assessment of the current state of the airline and what the recovery requirements entail. “These requirements include a response to the airline’s capital requirements of R21bn and the urgency with which SAA must act on matters internal that fall within its purview and control in terms of its strategy implementation plan,” continued Tlali. He agreed with Jarana’s earlier statement to Fin24 that SAA can get out of its loss-making cycle by 2021.